WASHINGTON – The U.S. House of Representatives has passed bipartisan legislation, Empowering Students through Enhanced Financial Counseling Act, sponsored by Reps. Brett Guthrie, R-Ky. and Suzanne Bonamici, D-Ore. The legislation is intended to improve financial aid counseling for students receiving a Pell grant or federal loan. Foxx praised Guthrie, chairman of the Higher Education and Workforce Development Subcommittee, as “a champion for common-sense reforms” and commended Bonamici and other Democrats for supporting the effort. 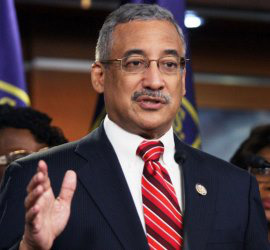 Rep. Bobby Scott, D-Va., ranking member of the Committee on Education and the Workforce, underscored the importance of the legislation.